ILLUSTRATION: NOAH KROESE: Back to the Future: History's gonna change. 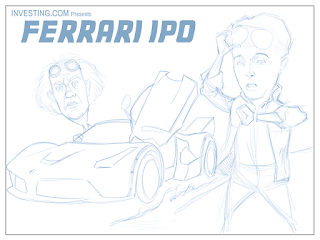 This week's subject was two fold: The upcoming Ferrari IPO and "Back to the Future" day. 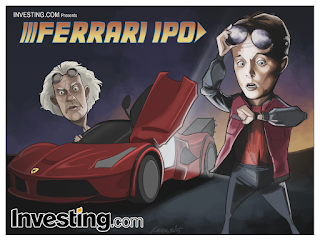 The crew at Investing.com asked me to modify an older comic already featuring Mary McFly (drawn way back in January of 2015). Back then, the comic was about falling oil prices. 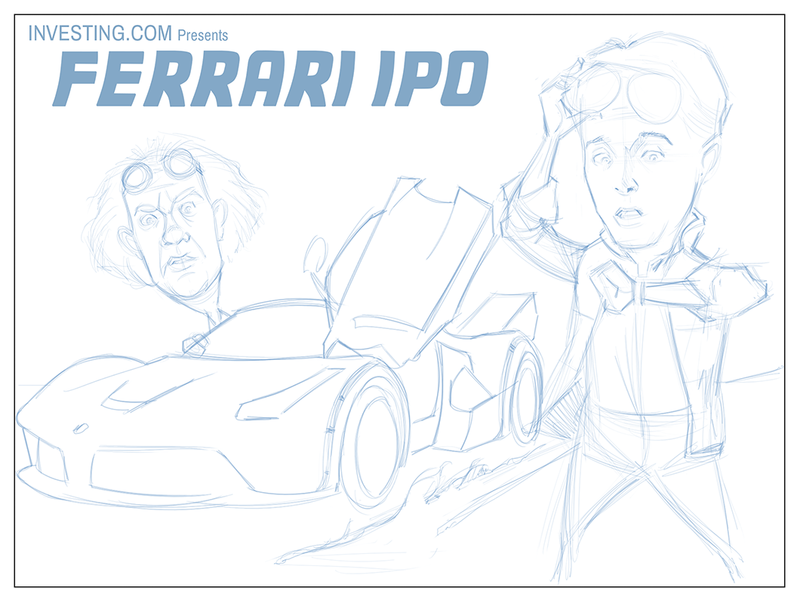 I was asked to take that comic and change the Delorian to a Ferrari. I was also asked to add Doc Brown and to change the top text to reflect the comic's subject. I think I did a better job this time around, both with likenesses and with color. I've also have a new project: To loosen up. My style has gotten a little too clean and a little too uptight over the years. So I'm employing some new techniques to combat my OCD tendencies to keep everything intensely precise (including less blending, more sketch lines, and less line consistency). It's bound to be a process that takes a while, but I think it's worth it.